Hi-Lo, or High-Low, is a fairly simple card game. It uses a standard deck of 52 cards, and it has players guess whether a certain card is higher or lower than one showing on the table. There are variations for drinking and gambling, but it's a pretty standard and simple game. Technically, the game can have any number of players, but at any given time, there are only two players actually playing. The dealer, who is in control of the deck, and the player, who is responsible for guessing the values of cards, are the only participants. After shuffling and cutting the deck, the dealer places one card face-down in front of the player, then another card face-up. The rest of the deck, he sets aside while the player guesses the value. After the cards are down, the player places his initial bet. The house matches that bet into the pot. When the player guesses, he wins or loses the pot depending on the outcome of his guess. After that round, the player can pass the bet to another player, or go double or nothing on the next bet. The drinking version of the game has players stacking up drinks in order to pass them to opponents. Each time the player guesses correctly, she takes the card, and a new card is dealt. She can then choose to guess again and get another card, or pass to the next player. If she passes, the next player has to take a drink for each card the first player won. If the original player guesses incorrectly, however, she has to take a drink, plus one for each card she has collected. Based on the card that's currently showing, the player has to guess whether the face-down card is higher or lower than the face-up card. After the guess, the dealer flips the hidden card, and the answer is revealed. 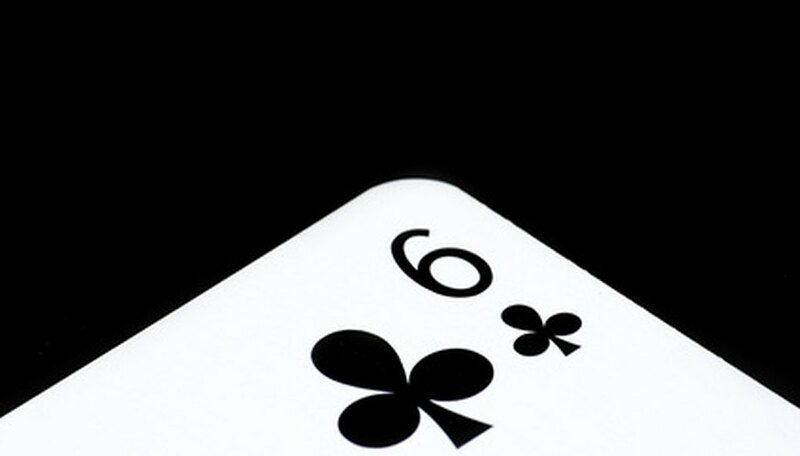 If the guess was correct, the player wins and can choose to double or pass; if not, the player loses and the dealer moves on.